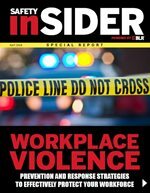 Workplace Violence Prevention: Download your Special Report now! BLR® is dedicated to helping American workplaces access and implement strategies to prevent workplace violence incidents and prepare their staff to respond in a way that could save lives. We are here to help you take a proactive step to solidify your prevention and response plan with these resources. The Workplace Safety training library includes everything you need to increase awareness of general safety practices, including courses on Active Shooter and Workplace Safety for Employees. 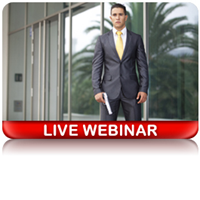 Join this full-day bootcamp of back-to-back webinars focused on workplace violence prevention and what you can do to prevent attacks from occurring in your organization. Bring a subject matter expert to your organization for an onsite training course on workplace violence prevention. We have both employee- and supervisor-specific courses available. Courses can be customized to meet your organization's need. This webinar will discuss the different types of violence, and measures that employers can take to try to identify the signs of violence before it leads to an incident. 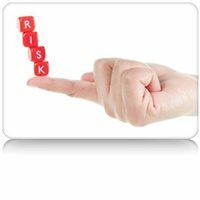 Safety.BLR.com is BLR’s online compliance solution for EHS pros. A subscription includes workplace violence prevention classroom training, including PowerPoint® meetings, handouts, quizzes, tool box talks, and more! During this session, Felix Nater, a former U.S. Postal Inspector and Violence Prevention and Violence Response Consultant, will provide valuable insight on the steps you can take to proactively manage workplace violence risks and keep your organization safe. Receive a Copy of Our Workplace Violence Prevention Special Report! This report has a wealth of information to help you learn about prevention and response strategies to protect your workforce. Fill out the form to download the Special Report and to speak with a sales representative to get a 10% discount when you bundle any of our workplace violence prevention resources. What can you do to help prevent attacks from occurring in your organization and to best prepare your supervisors and employees? Acts of aggression in the workplace affect millions of people each year in the US. According to OSHA, 700 people are murdered at worksites each year, and over 2 million are victims of violence. These acts of violence extend beyond active shooters, and include more sensitive issues like domestic violence and sexual assault and harassment. Download our Special Report now to get you started on your workplace violence prevention training plan and learn more about how BLR resources can you help you prepare your workforce. © 2019 Copyright, Company Name.